SMG’s Aux Fuel system, is the complete solution designed in-house to boost low-side fuel supply for high-horsepower 5th Gen Camaros running e85 or gasoline. Utilizing high quality components and construction and made right here in Texas! 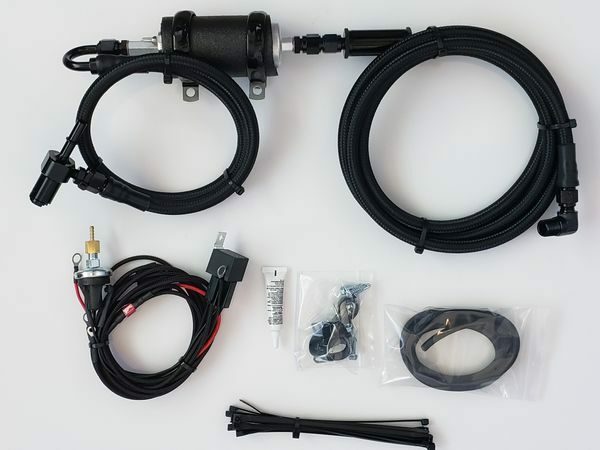 Our system taps into your fuel tank and existing fuel lines and flows additional fuel when demanded (via included boost pressure switch) and supplies enough low side boost support over 900whp (as tested on our 2017 pro-charged shop Camaro). 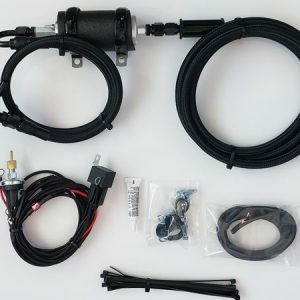 Our heavy duty custom harness comes fully assembled and ready to connect without modification to your cars wiring and in about 1 hour, so you can be ready to make big power with minimal downtime. *Permanent modification to your fuel tank is required for installation.